Do Royals Make Good Leaders? While many royals lead quietly, there are some prominent faces in the royal community who have had to make decisions in times of crisis. While at the time their decisions may have been considered good, what does history say now? It’s time to examine an important question: do royals make good leaders? So, I was sitting at my house in Faerieland and I wondered. 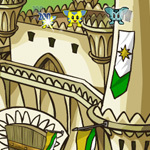 Where are those players who used to play in the Altador Cup? What about their lives? Do they plan to make a comeback? Most if not all the current rulers and leaders are revered by his or her people. However not everyone may look upon their ruler or leader with high regards. Whether they had been personally wronged, feel they aren’t fit to rule, or just don’t like them, every ruler and leader has a group of citizens who have complaints about them. Neopia has countless of leaders: from Governors to Kings and Queens, all of them rule their land with passion and strength. If you want to know a little more about them, just keep reading! Maybe you have a royal ball coming up, or you need to look the part for a play or some other type of event. Whatever the reason for your desire to be part of higher society, if you need help with some key style choices, look no further! 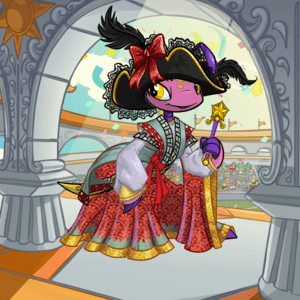 Queen Fyora, in all of her benevolent greatness, offered the extraordinary chance for our Neopets to become princes and princesses with the introduction of the Royal Paint Brush in Year 6. Most of my crew don’t insist on turning their free time into professional development, but that’s why we love you, Anneslace.